This study looks at the origins of the modernist movement, linking gender, modernism and the literary, before considering the bearing these discourses had on Djuna Barnes's writing. The main contribution of this innovative and scholarly work is the exploration of the editorial changes that T. S. Eliot made to the manuscript of Nightwood, as well as the revisions of the early drafts initiated by Emily Holmes Coleman. The archival research presented here is a significant advance in the scholarship, making this volume invaluable to both teachers and students of modern literature and Barnesian scholars. 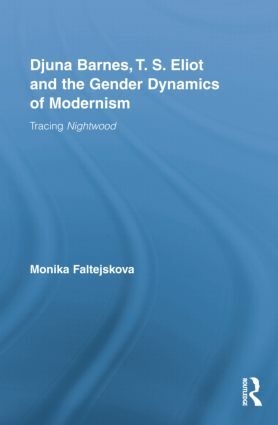 Monika Faltejskova read Women's Studies at Exeter College, Oxford and received her PhD in English Literature from University of Reading. Studies in Major Literary Authors features outstanding scholarship on celebrated and neglected authors of both canonical and lesser-known texts.